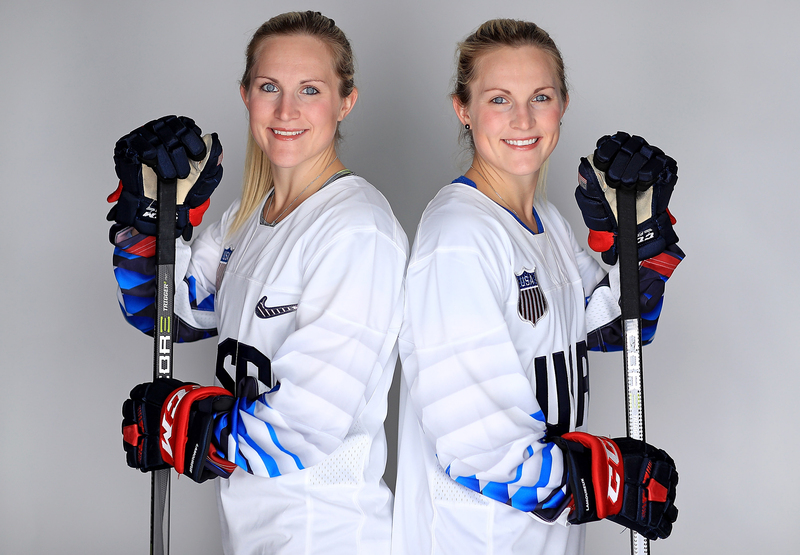 Monique Edith Lamoureux-Morando & Jocelyne Nicole Lamoureux-Davidson are the first set of twins to ever play in the United States Women’s National Hockey team. They went on to participate in Olympics thrice: in 2010, 2014, and 2018. Team USA won silver medals in 2010 and 2014 and a gold medal in 2018, all three tournaments skating against Canada. In the gold medal game of the 2018 Winter Olympics, Jocelyne scored the game-winning goal in the first extra round of the shootout after the preliminary five rounds, and 20 minutes of overtime, were not decisive. Jocelyne’s twin sister Monique had tied the game near the end of regulation. Monique & Jocelyne share their journey in an interview with Namita Nayyar, president Women Fitness. Having performed exceptionally well on your professional front, you are now going to embrace an all-new phase of your life, Motherhood. How do you feel about this one? 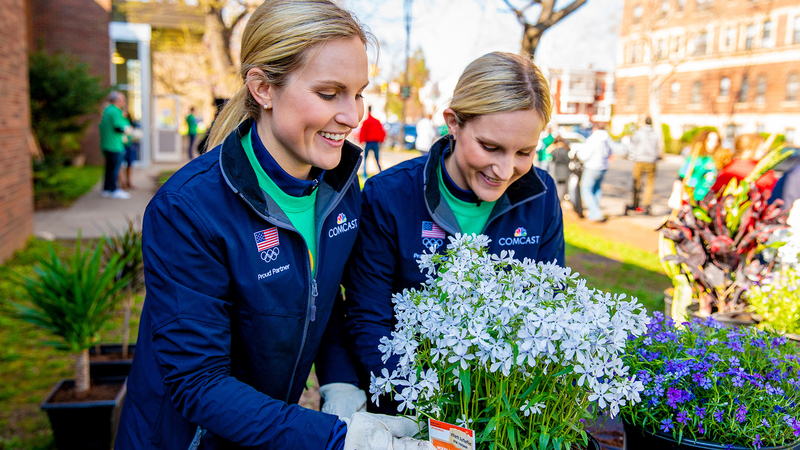 As an Olympic athlete, you pretty much plan your life in four-year increments. Planning a family is included in this. For my husband and I, we pretty much waited 1-2 years to start a family, knowing we “had” to wait until after the 2018 Olympics before we started trying to get pregnant. I have always wanted to have kids, and I feel like I’m in a point in my life where I have accomplished a lot in my professional life and realized dreams that I have been working towards since I was a child, so I feel like the only thing missing in our lives is a child. We couldn’t be more excited to become parents and I couldn’t be more excited to embark on this journey with my husband, as well as my twin sister, who is due 7 weeks after me. Many women try to keep away from experiencing motherhood with the fear of added burden of managing their professional & personal life. What would be your advice for those who are hesitant in entering this beautiful world? I think it’s unfortunate that so many women feel like they have to choose between their professional career and having a family. You shouldn’t have to choose, and you should be able to do both, and you can do both. In sports, is obviously a little different. Maternity leave doesn’t start when you give birth, it starts months before, and you must be able to physically perform within a timely manner in order to continue your career. I have not met a mother yet that regrets starting their family, and I feel like the stories I’ve read and the female athletes I have talked to, having child gives them a whole new motivation to continue in their career. They want to show their children that they can do anything, they want to be an example for their kids. I think there is never a perfect time to start a family, but hopefully the environment that you train or work in allows for the opportunity to support you to do both. USA Hockey now provides players with maternity benefits and really gives players the option to continue to pursue their hockey career and have family if that’s what they want to do. I know that not every environment that women work in this is the case, but that’s where I think you have to look at what your goals are, what you want in life, and if you need a change that will ultimately support that.